The Turtle Survival Alliance (TSA) recently featured a blog post describing their February visit to the Hicatee Conservation and Research Center (HCRC) at BFREE. Check it out below! 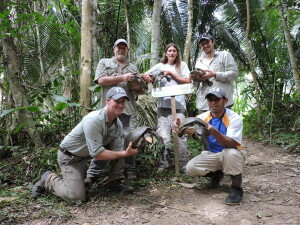 The TSA assembled a team recently to travel to Belize to begin implementation of two grants designed to improve our understanding of the captive reproductive biology of the Central American River Turtle, Dermatemys mawii, locally known as the Hicatee. 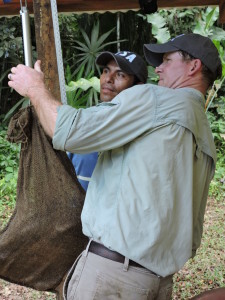 The grants – courtesy of the American Zoo Association and Disney Worldwide Conservation Fund – will support research that should shed new light on the mysteries of managing and reliably breeding this species in captivity, and will eventually lead to a sustainable and larger-scale effort intended to take pressures off of wild populations. Hicatee are hunted extensively throughout their range in Mexico, Guatemala and Belize, and many populations are heavily depleted. Article continued here.